The planetary systems discovered to date show a wide range in the number of members, in their mass, and in their orbital configurations. This variety is likely the result of different initial conditions and/or evolutionary pathways. In particular, since circumstellar disks around young stars provide the raw material for the formation of planets, it is reasonable to think that their properties influence the planet formation process. 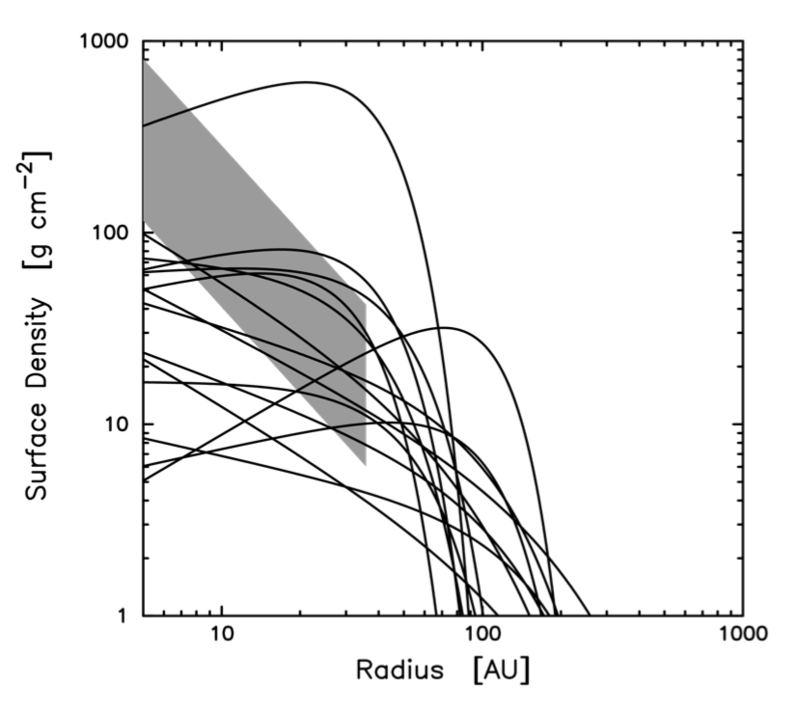 For example, massive disks might preferentially support the formation of massive planets; larger disks might allow the formation of planets on wider orbits; the chemical composition of the disk might affect the efficiency of forming planets; once formed, the evolution of a planetary systems might depend on the disk viscosity, and so on. While some correlation between the properties of planetary systems and those of the central stars have been discovered (see, e.g., the correlation between the fraction of giant planets and the stellar metallicity), very little is known about the dependence on the disk properties. This is due to fact that very little is known about the properties of circumstellar disks. Simple questions like, how much gas and dust there is in a disk? or how large is a disk? can be answered only for a minority of the disk population, and, typically, with considerable uncertainties. The recent construction of the Atacama Large Millimeter Array (ALMA) and the upgrade of the Very Large Array (VLA), as well as of the Combined Array for Research in Millimeter-wave Astronomy (CARMA), provides us unprecedented tools to constrain the properties of circumstellar disks. As an example, the figure on the right shows surface density profiles for a sample of disks observed with CARMA (solid curves). It reveals the diversity in the radial extent and shape of the circumstellar dust and the discrepancy between this disks and the classical model for the Solar Nebula (gray region). Future ALMA observations of a larger disk sample characterized by central stars with different ages and masses will allow us to explore the correlation between stellar and disk properties across the stellar mass range, and study the disk temporal evolution (see, e.g., our recent paper Carpenter et al. 2014).